Loveless Wallpaper: oh my love! 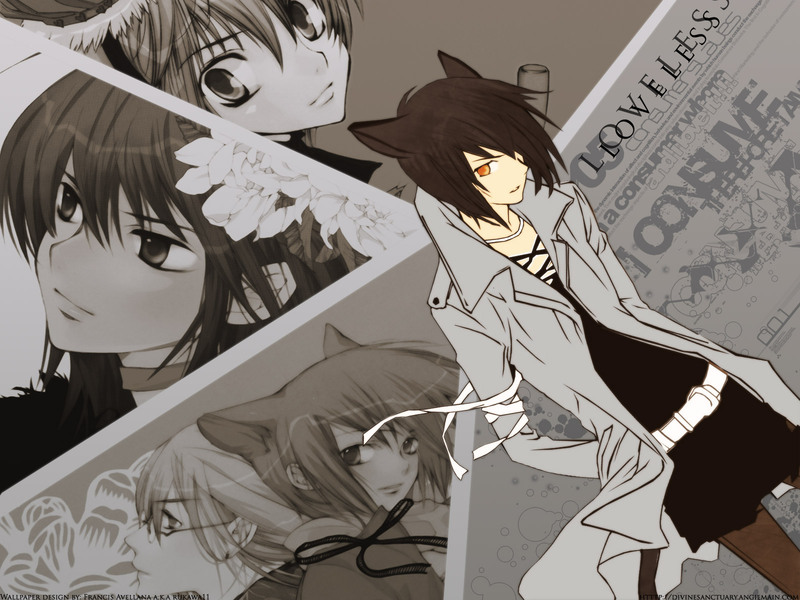 Minitokyo »	Loveless Wallpapers » Loveless Wallpaper: oh my love! I haven't seen this series yet but I think this is a great one. I want to make a grayish type of background that would suit to the scan.I've used a lot of brushes here and some scan i found here.I hope you like it! Such an unique idea for a wallpaper! I love the colors and the quality. Loveless is one of my fav anime (gotta luv t3h shounen-ai!) It's really good! Nice Loveless wallie! I've been looking for a good one. Thanks! Nice one, francis08 ! Love it! i so love ritsuka. i so love this wallpaper.